A “platform agnostic” IT strategy implies IT departments have the ability to support literally any device, Operating System and form factor. IT departments can split the end-user device from the back-end and as such speed-up and ease their development and release cycles. Already today, businesses have started to adopt different form factors such as tablets, laptops and thin clients. The range of options is almost endless and will only grow further. 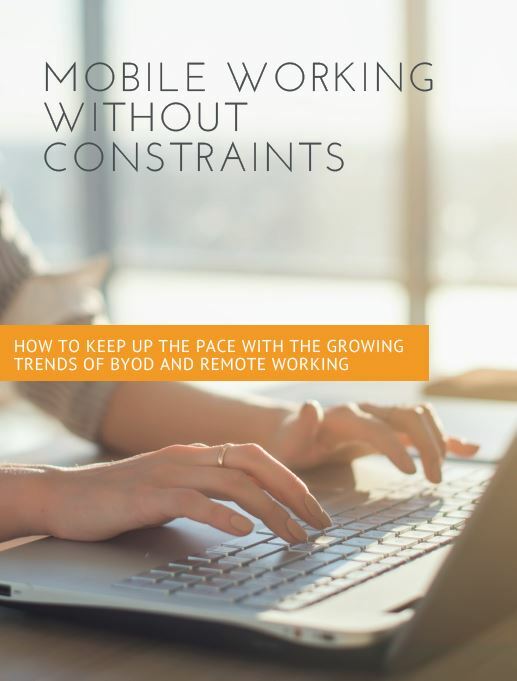 Many businesses have started to adopt C/BYOD. This trend will only grow towards the future. Often this involves ’managing’ the setup of an MDM solution. But these solutions require management and are de-facto not truly agnostic. Contractors need access to applications and data. They don’t require you to provide and manage a device, while this is typically the case. Costs are enormous yet the value is small. Operating system upgrades – such as Windows 10 – are painful for many organizations due to legacy IT platforms and security. In a platform agnostic implementation, the best practice would still be to upgrade operating systems to their last version. Yet it should not be impacted by the IT platforms in the back-end. Awingu makes all software – incl. legacy – and files available in a browser. As such it runs on any device with a browser. And that covers a lot of form factors! Login via any browser. There is no need to install any agents or plugins, nor to maintain and manage these locally installed “agents” and “plugins”. Awingu runs inside the browser. As such, there is no local data on the device (if you don’t want to). This is obviously a big benefit from a security and compliance point of view. Awingu’s workspace optimizes the user-experience based on the user’s context, e.g. push a mandatory “strong authentication” when logging in from outside the company network. Given there is no need to manage devices from a deployment or security/compliance perspective, IT organizations can gain significant cost optimizations when adopting browser-based workspace. Fill in the form below and find out how Awingu can enable your business to enjoy full benefits of mobile working and secure BYOD policy.